Antarctica Facts: What do you call a group of Penguins? So lets get started, below are 11 surprising facts on Antarctica. A clear blue sky over an ice formation in Antarctica. Photo credit: Shutterstock. 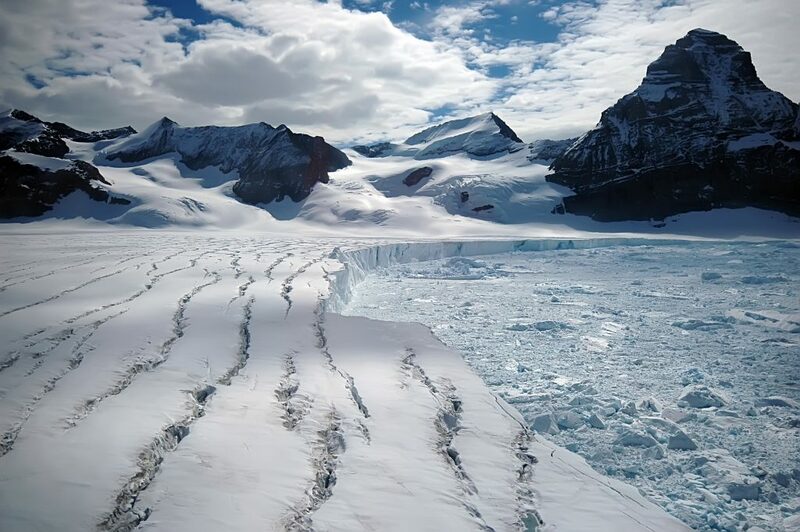 Despite its abundant ice, Antarctica is classed as a desert as it hardly ever gets any moisture from the sky. The inner regions of the continent receive an average of only 2 inches of rain a year, meaning even the Sahara desert gets more rain. The freezing temperatures and high wind speeds mean that no cold-blooded animal can survive in Antarctica. This is because reptiles are unable to turn food into heat, and so must get all warmth from their surroundings, meaning any reptile in Antarctica would instantly freeze. 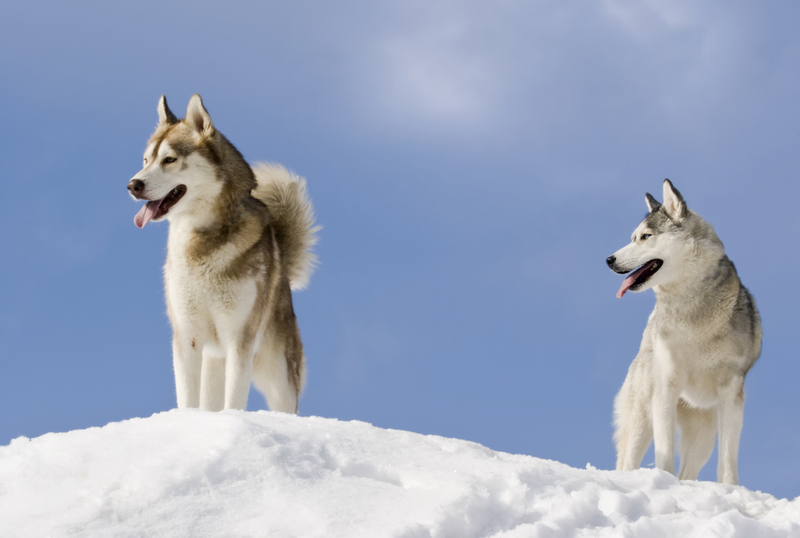 Huskies in the Snow. Photo credit: Shutterstock. When you think of this icy place the first thing that pops into your head, maybe after penguins, are people being pulled around by sled dogs, right? Well, the reality is that all dogs have been banned from Antarctica for over 20 years. The Conservation of Antarctic Fauna and Flora protocol stated that dogs run a high risk of introducing diseases, such as Canine Distemper, to the native seals, or that they could disturb and attack the local wildlife, and so were banned all together in 1994. 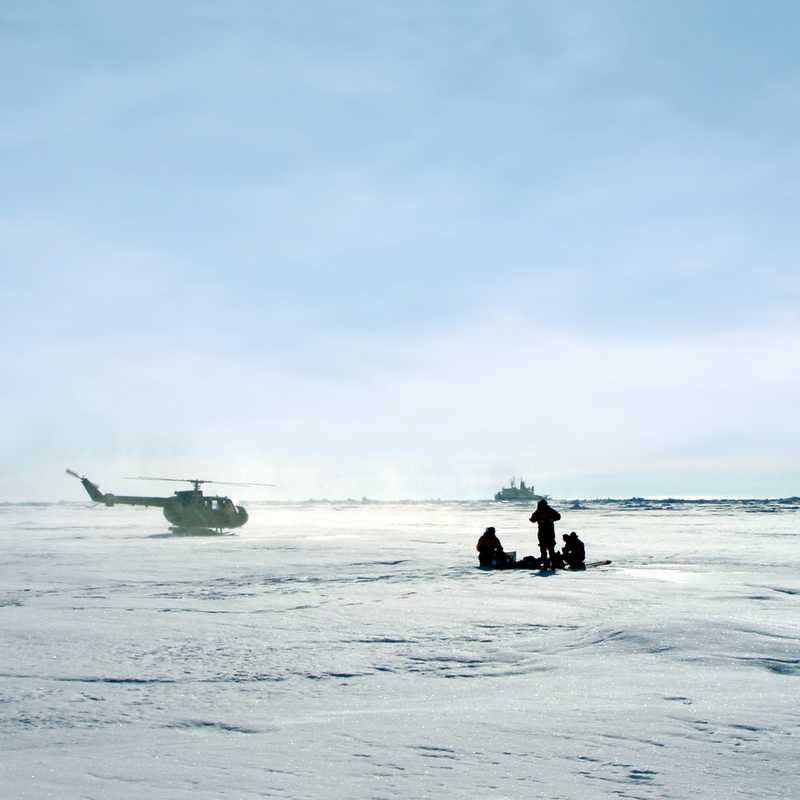 Research team working in Antarctica. Photo credit: Shutterstock. In the summer Antarctica experiences 24 hours of sunlight, and in winter 24 hours of darkness, making it completely pointless for this continent to operate under a specific time zone. When scientists work in Antarctica they simply choose which time zone they wish to operate in, which is usually their home DST, totally eliminating jet lag. Each base in Antarctica has one MD, and even then they are only taught the basics in dental care and surgery. This means that if a person’s appendix ruptures while they are out on the ice, there would be no way for them to be operated on in time. I’m sure we have all heard, or experienced, the pain of wisdom teeth coming through. It can render us completely incapable of working, or even functioning at a normal capacity. As wisdom teeth removal is advanced dentistry, the MD’s on site wouldn’t be able to assist, meaning an expensive trip back to the employees home country. Thermometer measuring the cold temperatures in Antarctica. Photo credit: Shutterstock. 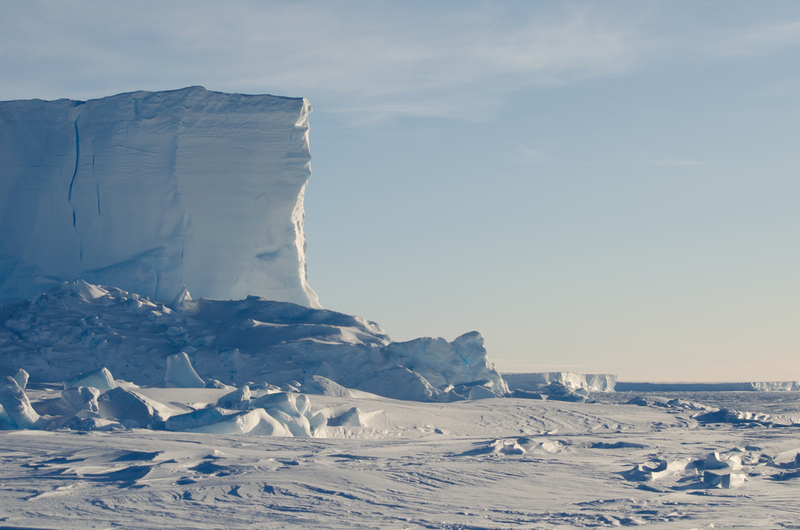 There is a specific ridge in Antarctica that has the coldest recorded temperature in the entire world. 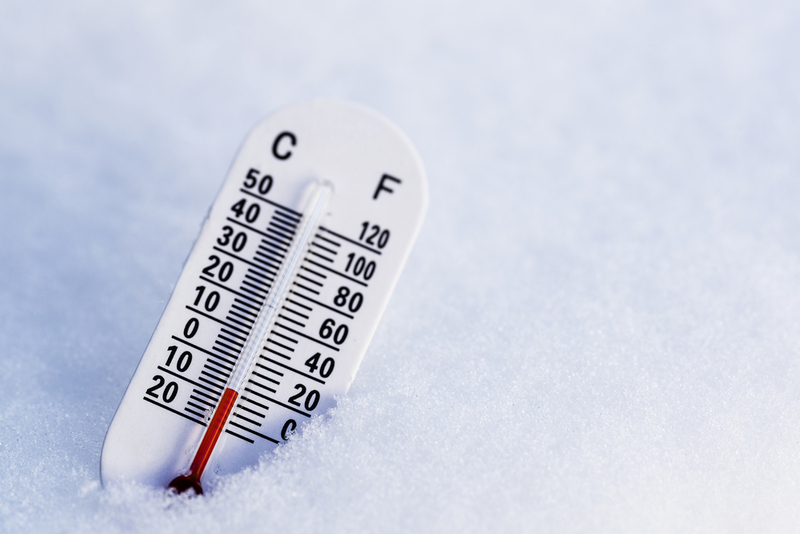 On this high ridge a Soviet scientist discovered the temperature to be -93.2°C (-133°F). The highest temperature ever recorded in this ice kingdom was a mere 14.5°C (58.2°F), not even warm enough to take off your thermal socks. Elephant Seals on a Sub-Antarctic Island. Photo credit: Shutterstock. One of the most common mammals in Antarctica is the seal. 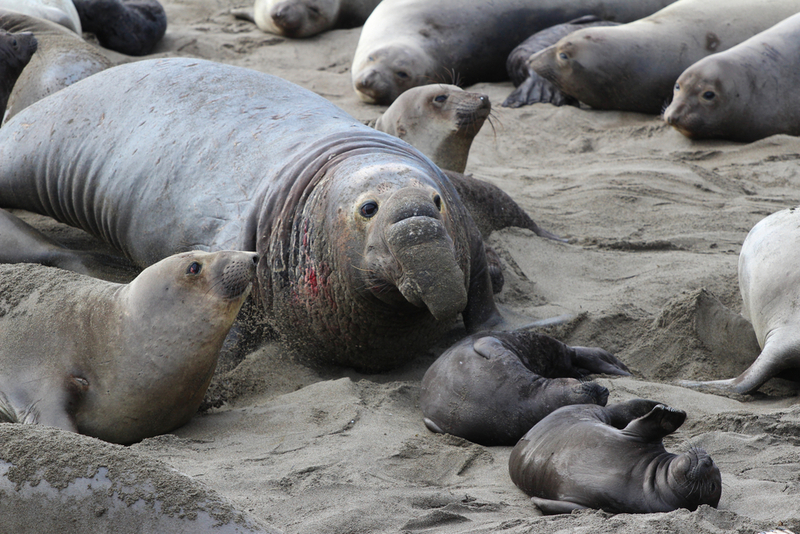 There are 7 species native to the continent, with the largest of the species, the Elephant seal, weighing in at a whopping 4,000Kg, and the smallest Antarctic Fur seal at only 150Kg. You will no doubt spot a Weddell seal or Leopard seal on any given trip to Antarctica as well! 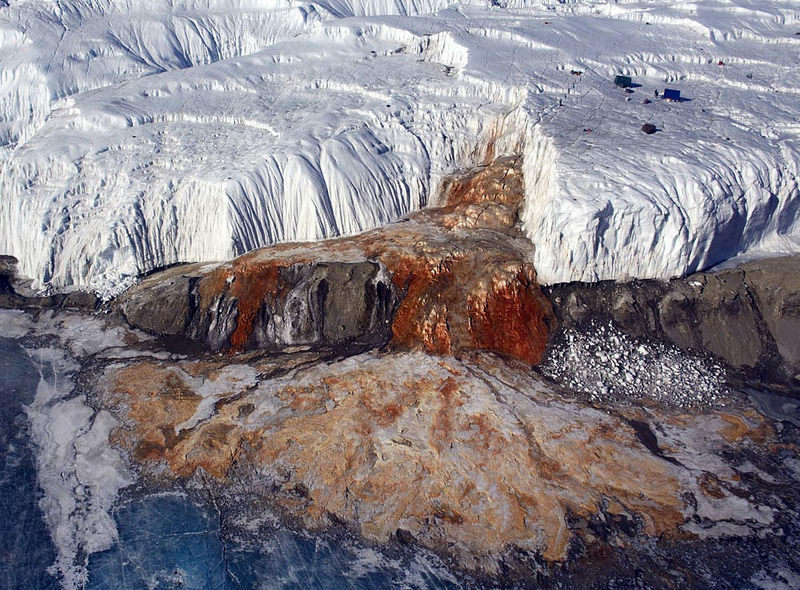 A rust coloured glacier in Antarctica. … Well, almost. This unbelievable waterfall stands 5 stories high, and runs off the side of the Taylor Glacier straight into Lake Bonney. It’s actually the high iron content of the water that makes this sub-glacial waterfall run blood red. That mixed with an extremely high salt content, and zero oxygen content make this waterfall a truly magnificent, natural phenomenon. 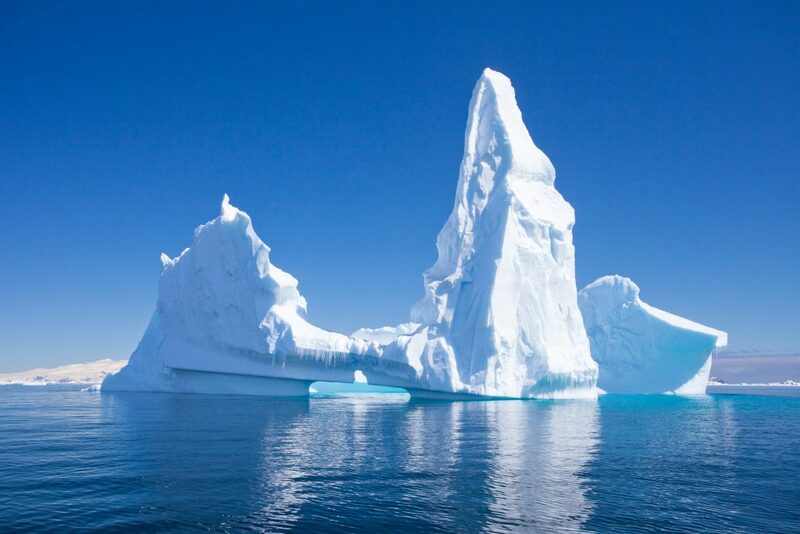 Antarctica consists of 70% of the fresh water worldwide. Photo credit: Shutterstock. Despite the fact that some parts of the continent haven’t received any rainfall or snow in the last 2 million years, Antarctica contains the majority of the worlds fresh water supply, and 90% of the worlds ice. 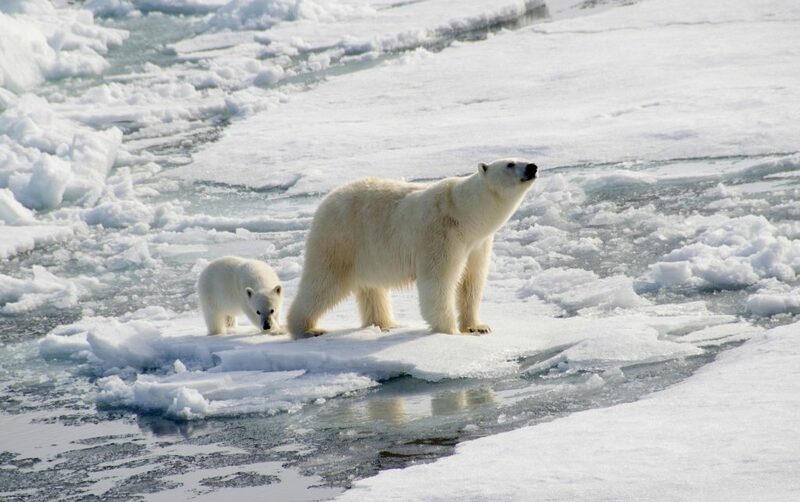 Polar Bears in the Arctic. Photo credit: Shutterstock. You think snow, you think Polar bears right? However, the reality is that there are non of these fluffy white creatures anywhere in Antarctica, they can only be found in the Arctic. This is because Antarctica is a land mass completely surrounded by ocean, meaning there was no way for Brown bears to walk onto the continent and adapt to the snow, turning their fur white, like they could in the Arctic. Ice formation in Antarctica. Photo credit: Shutterstock. Iceberg B-15 is the largest in the world, measuring in at a gigantic 11,000 SQ KM above the water, and around 10 times bigger below the surface! This amazing chunk of ice was carved from the Ross Ice Shelf of Antarctica in March 2000, and has since broken apart into a number of smaller icebergs, the biggest of which is B-15A. 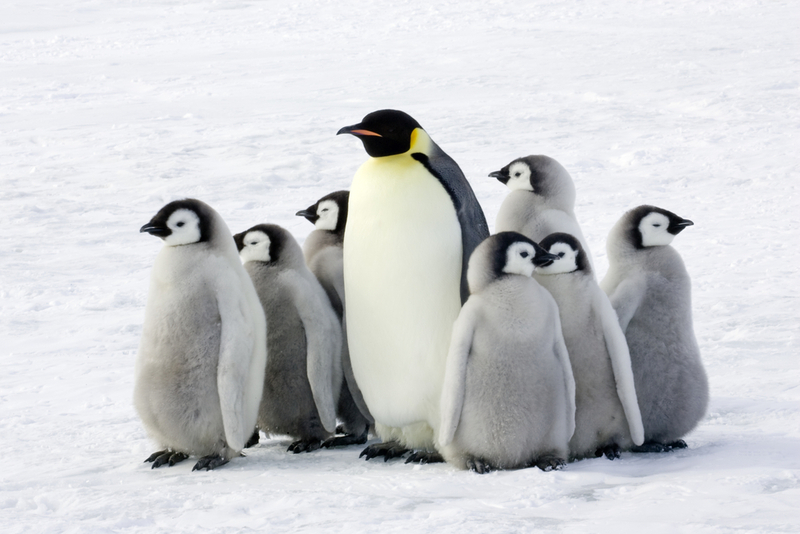 An Emperor Penguin with it’s chicks. Photo credit: Shutterstock. A group of penguins is called a waddle if it’s on land, and a raft when in water, how very cute. Did those surprising Antarctica Facts inspire you to experience it all first hand? Chimu Adventures offers a wide variety of voyages to the White Continent! In November vast swathes of sea ice still surround the peninsula and the earth is blanketed in pure white untouched snow.